Thank you to all those who were able to join us live at yesterday’s webinar with Chris Shade! If you missed our presentation, you can still view the webinar any time here. 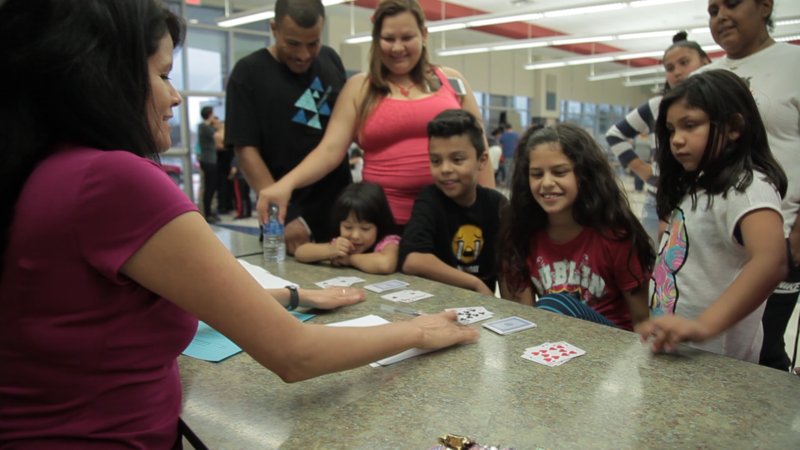 For years, Denton Independent School District schools offered the typical parental involvement activities Dr. Karen L. Mapp of Harvard calls “random acts of parent involvement” in her article, Unlocking Families’ Potential. Our schools had good intentions, but the results didn’t always quite live up to expectations. While the events weren’t bad in and of themselves, activities were a one-time event and not necessarily sustainable. 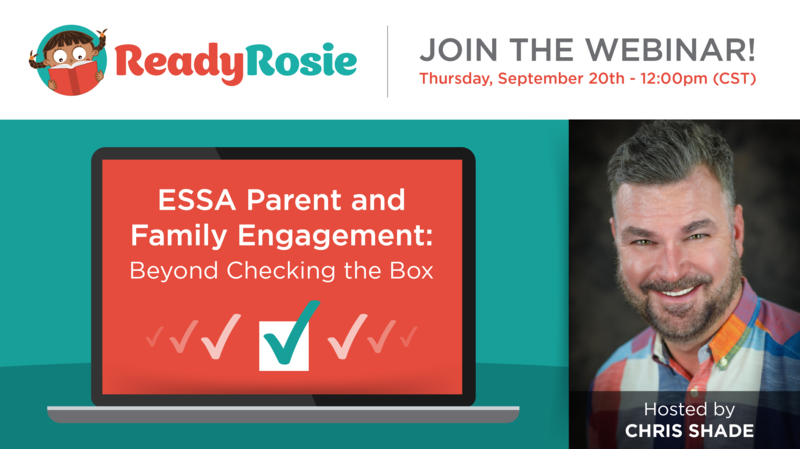 When I learned of what ReadyRosie offered, a product unlike any I’d ever seen, I knew we had uncovered a way to link parent and family engagement to student learning and development, the essential component of an effective program. Not only did ReadyRosie strengthen engagement, it helped address a number of requirements of the Every Student Succeeds Act in our efforts to improve student achievement. 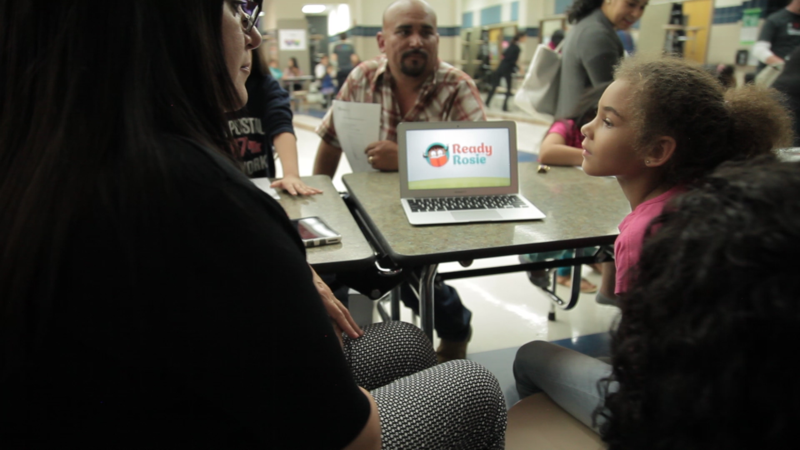 September 20th at 12pm CT ReadyRosie hosted a free webinar to share more about how Denton ISD is using ReadyRosie to meet ESSA requirements in a meaningful way. Like the LEA parent and family engagement policy, schools are to develop a written school parent and family engagement policy as well. ReadyRosie can be a part of the written LEA or school parent and family engagement policy as it offers activities for families to engage and interact with one another connected to student learning outcomes. When describing the curriculum at the Annual Title I meeting, note how ReadyRosie supports content standards and is aligned to state standards. (See the Curriculum and Alignment Maps in the Resource tab.) Use this time to remind parents and family members to continue to use ReadyRosie emphasizing how it will help their children meet the challenging state academic achievement standards and state academic assessments. Additionally, the compact is to “address the importance of communication between teachers and parents on an ongoing basis through, at a minimum parent-teacher conferences in elementary schools, at least annually, during which the compact shall be discussed as the compact relates to the individual child’s achievement.” Many elementary schools meet with parents during parent-teacher conferences in the first few weeks of school and use this time to discuss the school-parent compact. Consider the purpose and intent of the school-parent compact. In essence, it is designed to highlight the roles of both the school and the parent. ReadyRosie goes beyond merely agreeing to what is important. It offers models of how to do so in everyday situations. Additionally, ReadyRosie encourages two-way communication through the comments section in which teachers and parents can converse about the activities families are doing at home. Since compacts are to be discussed in parent-teacher conferences, be sure to use the new Parent-Teacher Conference materials in the Resource tab. In addition to the video activities for parents and families to work with their children in everyday places such as the home, playground, grocery store, etc., ReadyRosie offers a number of videos that offer families tips and tools from experts in the field to provide educators and families with information on the topics they care about most. Further, ReadyRosie provides a series of Family Workshops for schools to offer families after school to build the capacity for involvement. The ReadyRosie professional development workshop modules give educators the tools, knowledge, and confidence to strengthen the family–school partnership and see student outcomes improve as a result. ReadyRosie aims to make its content accessible to all families by providing modeled moment videos in English and Spanish with a growing Arabic library. Closed captioning is also available with subtitles in Arabic and Vietnamese. ESSA addresses planning for the transition of students in early childhood education programs to local elementary school programs. 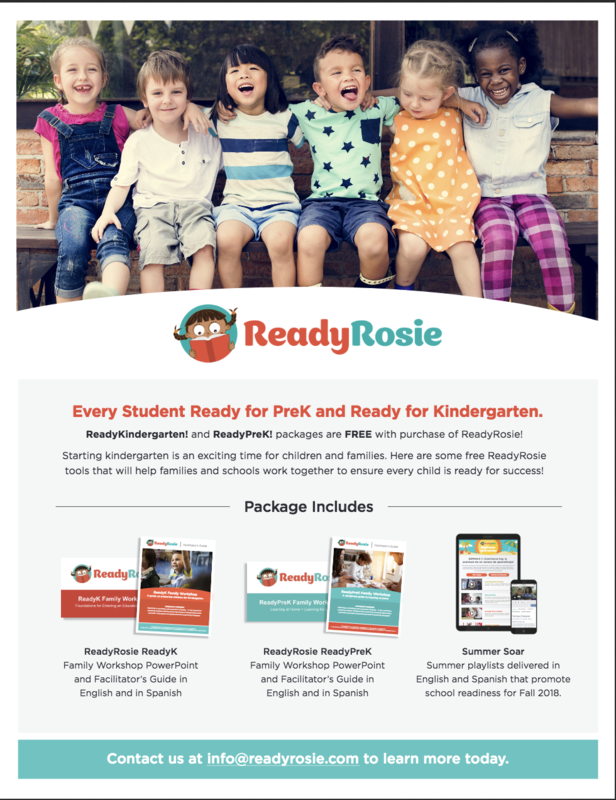 As a part of this process, ReadyRosie can be used to support families during this transition in both the preschool using the Ready for Kindergarten Family Workshop and in the elementary school using the ReadyRosie elementary videos. Further, ReadyRosie offers downloadable game boards, printable playlists, summer learning videos, and full home learning packets to promote fun learning all summer in the Summer Soar section of the Resource tab. Many LEAs and schools are using the 1 percent set-aside to provide ReadyRosie to families at no cost.